I won't forget the horrible incident that shook the school sometime in 2012 and the pupils were afraid and traumatized the pupils of my school. It seemed that I was one of them too. This happened several minutes before noon. It's a lunch time for the pupils. "The school is shaking," shouted the school children who were eating their lunch under the shady tree. One child was surprised upon seeing the water inside her glass was moving. That was the terrible experienced I have had in Cubay Elementary School, my 5th school assignment as a school principal. I saw how the pupils behaved, how the teachers assisted the confused pupils to stay out of their classroom. And I saw parents in group coming to the school fetching their respective children. Late in the afternoon, Mayor Juliet Ferrer personally conducted an ocular inspection of our building. The ABS-CBN news crew followed the Mayor. Mayor and I were interviewed by ABS-CBN Marty Go and we're live in the 5 O'clock news. We learned later that it's intensity 6.8 quake with its epic center somewhere in Negros Oriental. Though it's a bit far from our place for we belong to Negros Occidental. Though most of our pupils at that time were anxious and were traumatic, but they knew what to do during the earthquake for they'd undergone a series of drill on earthquake. Now came May 2014 I was transferred to Balabag Elementary School as my 6th and probably my last school before I retire on October 14, 2016. I left the school without so much fanfare for they'd already tendered me a sumptuous turning over rites and a welcome party. 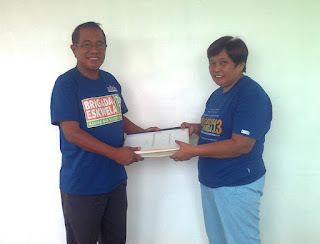 In a simple ceremony, I turned the school improvement plan (SIP) and other important documents of the school to Mrs. Rosemarie Cabuguason as the in-coming school principal of Cubay Elemetnary School. Mrs. Cabuguason is the school principal of Yubo Elementary School. After a few days, I proceeded to my new school, Balabag Elementary School and the previous school principal, Mr. Rolando Heria turned over also the school's documents to me in a casual meeting in his office. The Cubay Elem. School teacher force at the time was headed by Sir Edgardo Amar as their president and his co-teachers were Mrs. Nona Palanog, Miss Suyo, Mrs.Louelyn Hilado, Miss Vivian Doloso (retired), Mrs. Herlene Bravo, Mrs. Melanie Reyes, Mr. Mario Malacaman, Miss Jema Bajala, Mrs. Amar, Miss Gemma Salazar, Mrs. Ofelia Ayungon and Mrs. Alesondra. 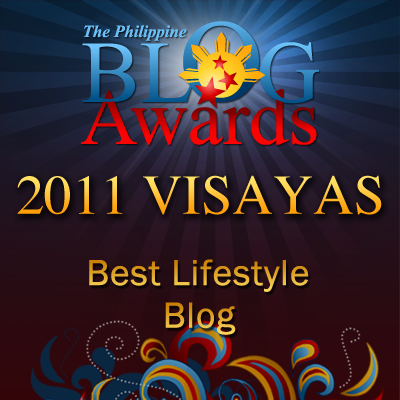 I wouldn't miss the Lady's organization headed by the wife of Punong Barangay Noel Vargas. The face lifting of Cubay Elementary School physical facilities was mainly attributed to the efforts of PB Vargas and his council members. The feeding program of the school was assisted by former Vice Mayor David T. Baga, Jr., now a city councilor. I couldn't forget the all-out support of the parents and their Parent-Teacher Association. They're active in every school program. They're too supportive of projects and national school maintenance of the school every year, the so-called Brigada Eskwela. I loved seeing the pupils on their playground demonstration every year as they joined the annual Fiesta celebration of the Barangay. I would missing the school, the parents and the teachers in Cubay Elementary School. 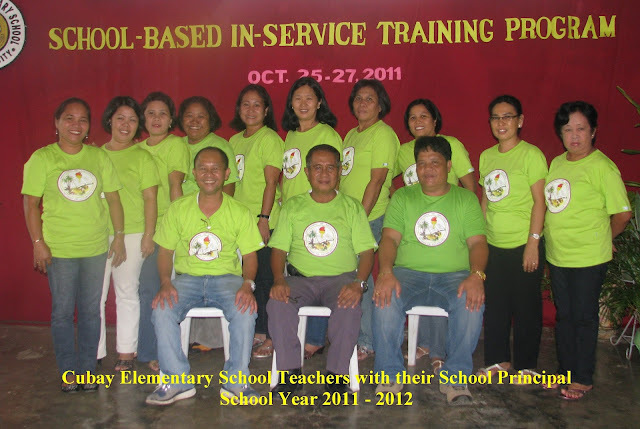 Now I have retired after serving the DepEd for 25 years as a classroom teachers and a school principal for 6 schools. Next is Balabag Elementary School, my 6th and last school to serve as a school principal before I will retire on the 14th day of October 2016.